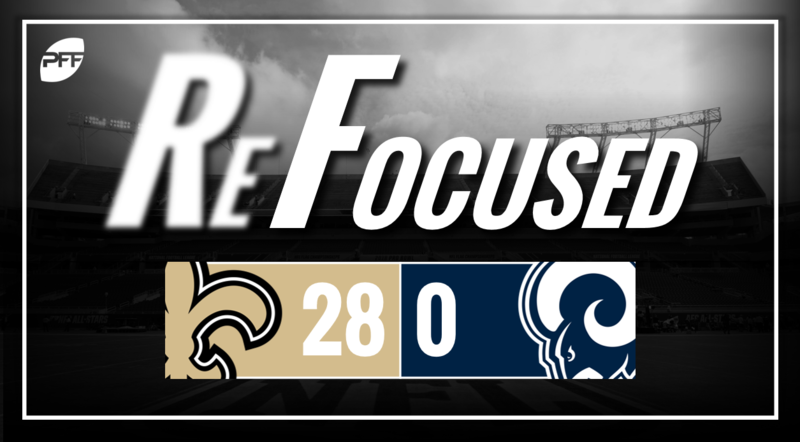 The New Orleans Saints defeated the Los Angeles Rams on Thursday evening, 28-0 continuing the fourth full week of preseason action in the NFL. The Rams offense was held in check all night long. Though they moved the ball well on their first drive, they were ultimately shut out and the backups showed very few signs of life. Fortunately for Rams fans, the regular season is coming soon. Los Angeles was sloppy both offensively and on special teams. They fumbled the ball three times, losing two, to go along with two interceptions. They also gave up a blocked punt that resulted in a special teams touchdown for the Saints. Clearly, the Rams mailed this game in just as they have the entire preseason, resting all their defensive starters, they did little to slow down the Saints. Dominated in the trenches all night, the Rams clearly had one goal in mind: keep each starter healthy and prepare for the regular season. Taysom Hill got the start for the Saints in their final preseason game and he didn’t disappoint. Fueled by the Saints mid-week trade for Teddy Bridgewater, Hill showed all aspects of his game. He ran the ball well and made some nice throws. Overall the Saints game plan was clear, establish the run and dominate in the trenches which they did all night long. The Saints defense flew around all night long as Alex Anzelone made an incredible toe-tapping interception in the red zone to end the Saints’ first defensive series and they never looked back. Marcus Davenport played well in pash-rushing scenarios and his best play of the day came on a play that was ultimately wiped out by a penalty — rushing off the edge, exploding through the quarterback and forcing a fumble.